Witcher 3- Wild Hunt was released in 2015 by CD Projekt Red. This game is the 3rd edition of the famous Witcher series. 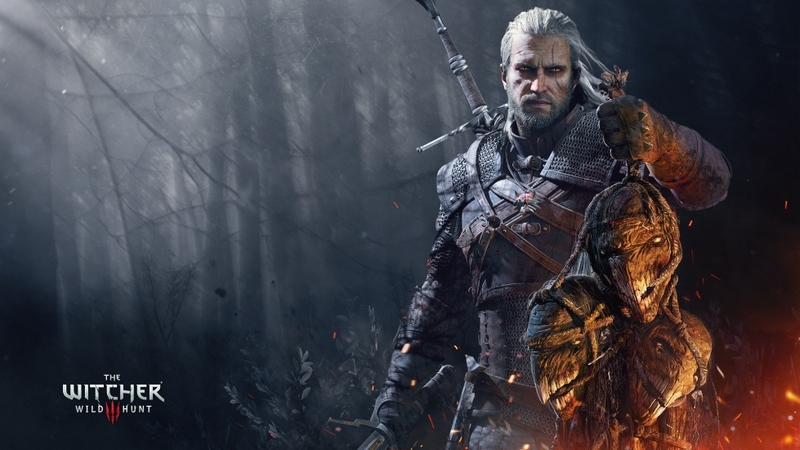 Witcher 3- Wild Hunt was even a bigger hit than Witcher 2- Assassins of Kings. This game is an action role-playing game and has been a huge hit amongst the gamers across the world. This game is full of decision making and exploring. The scenarios in the game depend on the decisions that you make. Different choices and decisions would lead you to a different path or a different mission. Due to this reason, you can play this game more than once and still be able to enjoy it. This game is a tough one to crack. The difficulty of this game makes it interesting. The storyline of this game is just simply awesome. You might at times feel a little bit lost while playing this game especially, in the beginning. There are many tips and tricks that you can follow for getting a better game-play experience. By following some of these tricks, you can enjoy the game a little bit more and will make the game a little easier for you. Following are some of the important tips to play the Witcher 3- Wild Hunt. This is a very simple and important tip that all the gamers playing this game can follow. Most of us skip the tutorial because we are too excited for already start playing the game. We often do not want to waste our time in watching the tutorial. Watching the tutorial is very important. You will get the knack of the game and about Witcher 3 console commands by going through it. If you do not watch the tutorial, you will have no idea about the controls and other things that are important for playing the game. The combat controls and moves are taught to you by Casimir in the tutorial itself. Listen to him carefully and practice the moves in the free mode. Explore the map as much as you can. You may want to spend some time looking for treasures and other goodies that might prove useful to you. Exploring and finding treasures will help you in improving your gear. While exploring also try to do as many side quests as you can. These side quests are really simple and will help you earn money along the way. The story of this game is one of the best stories in any game till date. While it is the best, sometimes it also feels a little confusing. You might get lost in the storyline and won’t be able to understand some scenes at times. It is important to read and listen to every detail written and spoken by the characters in the game. Do not skip any story-telling part. The better you are in sync with the story, the better you will be able to enjoy the game. There are four different difficulty levels available in this game. “Blood and broken bones” difficulty level is the best option for best gaming experience. This is the second hardest difficulty level available in the game. This makes the game hard and funs at the same time. If you choose the hardest difficulty level, you won’t be able to enjoy the game and most of the time might end up feeling frustrated because even the simple tasks will be very difficult. At the same time, if you choose a lower difficulty level, you will be easily defeating all enemies and the bosses. This won’t be fun. Gamers like to face some difficulties and challenges in the game and Blood, and broken bones difficult gives you just what you want. You can earn a lot of money in this game by finding treasures and looting dead bodies. But, this money is often useless. This is because they are foreign currencies and you cannot use it to but anything. So what should you do? After reaching a certain amount, you should go to Vivaldi’s bank in the north of Velen and get your money converted to crowns. You can buy anything that you like using the converted money. This game has the auto-save feature, but at times the gap between two checkpoints is too long. The behaviour of the game is such that you can die any time suddenly without getting any time for saving the game. It is best if you keep your game in regular intervals to avoid having to play the whole mission again. You can steal things from people by merely entering their house. They won’t even notice the stealing as long as you are not stealing from a shop in a busy street or something like that. Taking valuables is very easy and very useful. You can get money from these stolen valuables which can be in turn used for buying various things like a better gear or weapons for your character. Also, make sure to loot every monster that you kill. Do not miss out on a single monster. You will be surprised at the kind of valuables or money that you can get by looting them. How to Check your Own Mobile number-Airtel, Idea, Docomo, Bsnl, Etc.